Sausage Balls have always been a favorite at my house. Not just at holidays or get-togethers, but often by special request from the kids just for movie night even. 3 cups Bisquick, 1 pound sausage, 8oz shredded sharp cheddar cheese. Mix it all together, roll into balls & place on baking sheet, bake at 375 until brown. It occurred to me that I could make Low Carb Sausage Balls very easily, by replacing the Bisquick in the original recipe with Almond Meal. I decided to make half a batch since I was only making them for myself this time. I also decided to add an egg, just to make sure they held together as well as Sausage Balls made with Bisquick. You could double this recipe of course, but I think one large egg would still suffice. 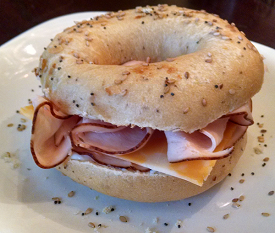 The original recipe calls for sharp cheddar cheese, but I used Colby Jack Cheese instead as that’s what I had on hand. If you wanted sausage balls with a kick you could use Hot Jimmy Dean Sausage and Pepperjack Cheese. I use a large baking sheet, and cover it with foil. This is more to make for easier clean-up than anything. 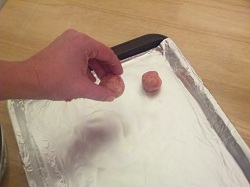 Roll out small Sausage Balls between your hands, and place them on the baking sheet. The Low Carb Sausage Balls won’t rise quite as much as the original Sausage Balls Recipe, so you don’t have to worry about keeping them *too* far apart. Bake them until they are golden brown. When you take them out of the oven, put them on a plate covered with a paper towel (to soak up any grease). Beautiful, right? 😀 I think the Low Carb Sausage Balls Recipe is actually *better* than the original recipe! The Almond Meal I use is 3 net carbs per 1/4 cup serving. So for 1 1/2 cups (half batch recipe) it’s 18 net carbs total for the batch. 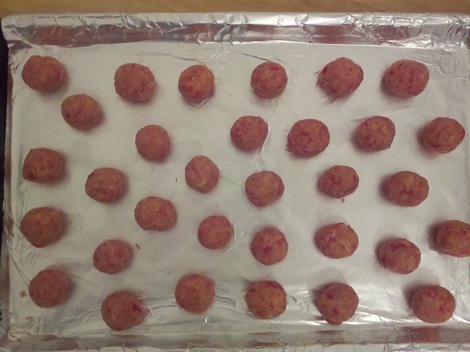 I got 32 Sausage Balls out of this batch, making them less than 2 net carbs each. You could use a lower carb Almond Meal (look at the NOW brand below mine on that page), and you could even use less Almond Meal in the recipe – perhaps one cup instead of 1 1/2 cups – and I think they would still come out fabulous. This is an excellent idea. This recipes works in so many different ways. For those who are watching their carb intake as you are(I really know I should but having a hard enough time just trying to drop the calorie count right now), as well as it is a really simple recipe for those just learning how to cook. If you don’t mind, I might add your link to a post on my site http://mycutlittlechef.com so that I can offer another easy recipe for my young aspiring chefs and their helpful parents. Now, I am off to the store to go find some of that Almond meal up here in Canada(fingers crossed that they have it somewhere) and then going to try my hand at this recipe myself because I am a BIG sausage lover! Lynn, I was wondering if you have ever tried the sausage balls using flax meal? I think I’m going to try that. I don’t have almond meal but I have flax meal. If you have used the flax, how did it compare to the almond meal and is it anything to compare to flour or baking mix. I mean, is it kinda like flour or more like meal? Thanks! If you go low carb, you can forget about counting calories!! I’ve lost 61 in a year and have been doing this for 28 months now. I never count calories!! I eat LOTS of saturated and other GOOD fats. I read WHEAT BELLY by Dr. William Davis, (cardiologist), and totally changed my life from unhealthy (counting calories, eat low and fat free, etc.) to healthy! Give it a try!! There is a facebook page — Wheat Belly — with over 104,000 likes. Go there and join in with the rest of us for the most amazing way to eat!! Hi Lynn, A friend showed me a new app last night. It’s called “Fooducate”. It reads the barcode off your product in the market, give ingredients, and suggests better alternatives. Been playing with it and it is helpful. Keep up the great eating! Very cool. I’ll have to check that out! Does it have suggestions specifically for low carb diets?? 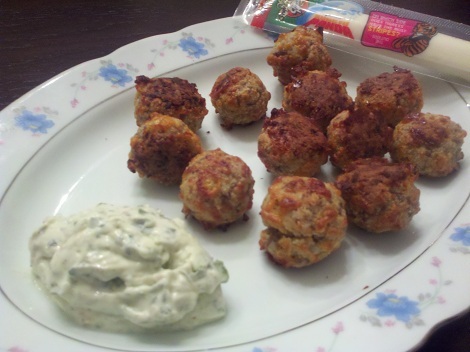 I have not had these sausage balls in years, but am looking forward to trying them the low carb way. I hope you enjoy them as much as I did 😀 Let me know what you think! It really is a very simple recipe 😉 Enjoy! Thanks for this great recipe, I haven’t eaten sausage balls in a long time, and didn’t see them in my future food choices. Great idea to make them with almond meal. I use a lot of almond meal/flour and I get it in 5 pounds bags for under $30.00 from Honeyville Grains, online. 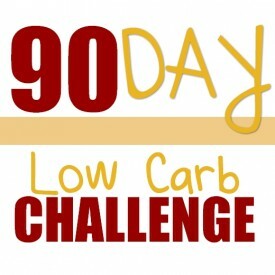 I’m putting this blog as a reference on my blog Diabetes Weight Loss Success. A low carb diet is perfect for diabetics as it allows them to lose weight and keep their blood sugar in the normal range. Love this blog and your recipes. Thanks a lot. Hi Vicki! Nice to meet you 😀 I’ve added your blog to my Google Reader. I have friends who are diabetics, and we often compare notes and eat a lot of the same things. I hope you enjoy the sausage balls! Also see the low carb bread recipe with almond meal. I often add things to it (chopped spinach, for example) – you can make a lot of variations with that recipe! 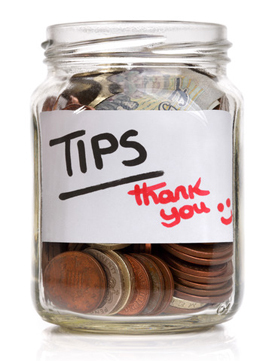 Thanks for the tip about Honeyville Grains! Excellent price and flat fee shipping. Very cool. I loved this idea, but changed it up a bit. One because I am a vegetarian and two because I have learned when baking with almond flour, baking powder is a must. I added some vegetarian sausage instead of the real stuff and I did not make them into balls but more like muffins. I also thought, maybe these would be a good pancake substitute, so I tried with some sugar free syrup and yum! I would have never thought of these on my own so thanks, they are great! Yes, it is used to get a rise. Especially useful in cakes, muffins and cookies. How much baking powder is used?? 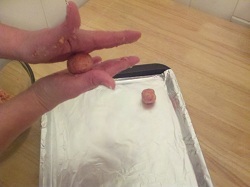 Nicole, how much baking powder did you use with the almond meal in making sausage balls from Lynn Terry’s recipe? I already love the sausage balls before even trying them. They look like a great snake that can be made in bulk and frozen for later. The Almond Meal sounds like a great tip as well. I made them 🙂 I used a cup of Carbquick instead of the almond meal – and they were delicious! I overcooked mine just a bit – but still enjoyed them a bunch. I loved your sausage balls but I went ahead and made a variation to lower carbs. 1 cup Carbquick, 8oz. cream cheese, 16oz. sausage and 4oz. cheddar cheese. I eliminated the egg. They turned out great! Very moist and not bready. Made 33 balls at .8 carbs each! We made these last week using your additions/substitutions and I find myself making them again today. They were so moist and delicious!! This is going in my recipe box for sure!! 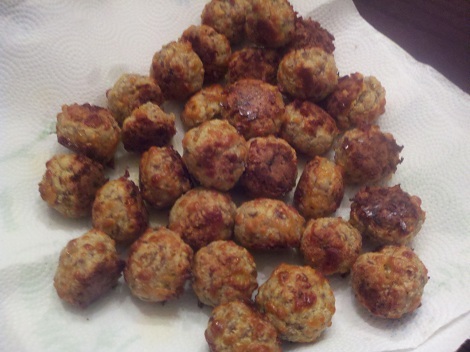 They look great, actually, if my math is correct, they are only .56 carbs per sausage ball, even better! I would like to get private emails of your recipes at staceypoweski@aol.com. I’m not ready to share personally just yet. I have a lot of medical issues to deal with also. A private one on one for this month would be great for me. I can’t exercise due to needing knee surgery. I’m bone on bone In my right knee. I try to do strength training for my muscles at least 2x a week. thank you!! I must have missed this part, but about how long did it take your half batch to cook? 18 carbs / 32 sausage balls = .5 carb each not 2. 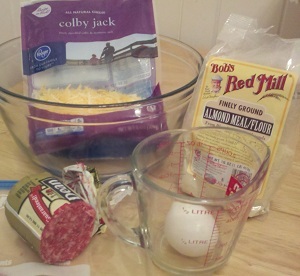 My mom’s recipe is 2 cups flour, 1 lb sausage & 8 oz cheese. Would this be about the same? Her’s are a little dry, light old fashioned roll out biscuits & I would like something like that. Thanks SO much for this recipe! I add baking powder and it solves the problem of being too dense. I do not use the egg. 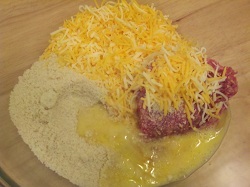 I use a food processor band put the almond flour and baking powder in first then grind the cheese. 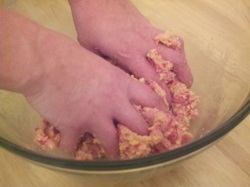 Lastly I add the Jimmy Dean hot sausage and mix well. Gently pinch off in walnut sized balls. Do not roll tightly. t use Parchment paper to liine a large baking sheet. Bake in preheated oven at 350 degrees for 15 minutes. I made these today to take to our Thanksgiving dinner. They came out with good color; however, every other recipe I researched before making this one called for 1 cup of almond flour to the whole tube of Jimmy Dean sausage. I am wondering if the almond meal proportion could be cut back as it seemed to have too much “bready” feeling and kind of lost the sausage flavor with using just the half batch recipe (1 1/2 cups almond meal). If doubling the recipe that is a huge amount of almond flour (3 cups) compared to other recipes that are very similar to yours. I think they might have more flavor once they totally cool down. I like that yours is an easy to make recipe.